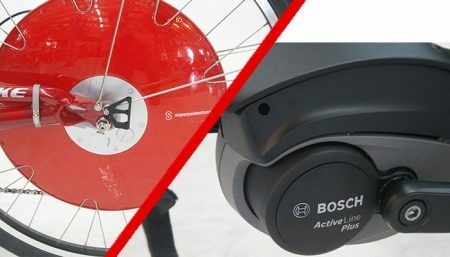 During the winter months we get a lot of calls seeking information about Schlumpf drives, Rohloff hubs, Patterson cranks, Nuvinci (Enviolo) hubs etc. We want to provide you with some of the things that need to be considered when dreaming about these exotic pieces of expensive, shiny metal. First thing you need to figure out is where you are starting from. 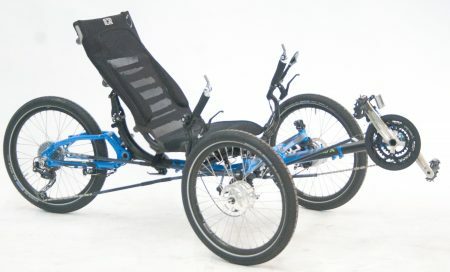 A common setup for recumbent bikes would be a 48/36/26 crank with a nine or ten speed 11-32 cassette on a 26” wheel. That would be a nice sport touring combination for general use. That would give you a 20.2-108.5 gear inch range. Gear inches are how many inches the rear wheel would roll if you turned the crank one revolution. There are other ways to talk about this but I find gear inches the easiest to rap my head around. On a tadpole trike with a 20” rear wheel a common setup would be a 53/39/30 with an eight, nine or ten speed 11-32 cassette. That gives a 17.5-90.0 gear inch spread. These are the numbers you are trying to beat. Next you need to know what you want to accomplish. 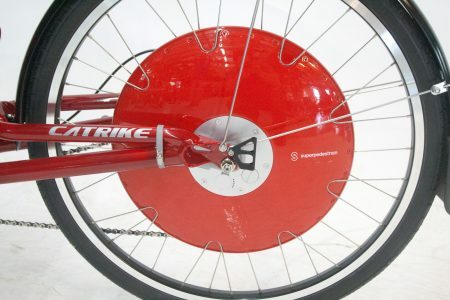 Let’s say you have a 26” wheel like in the example above. Most the time people are wanting an easier gear for the hills AND want to be able to pedal downhill without running out of gears. Never dropping a chain and having a drivetrain not bothered by winter weather would be nice also. A popular answer for them would be replacing their drive train with a Schlumpf speed drive for the front and a Rohloff hub in the rear. 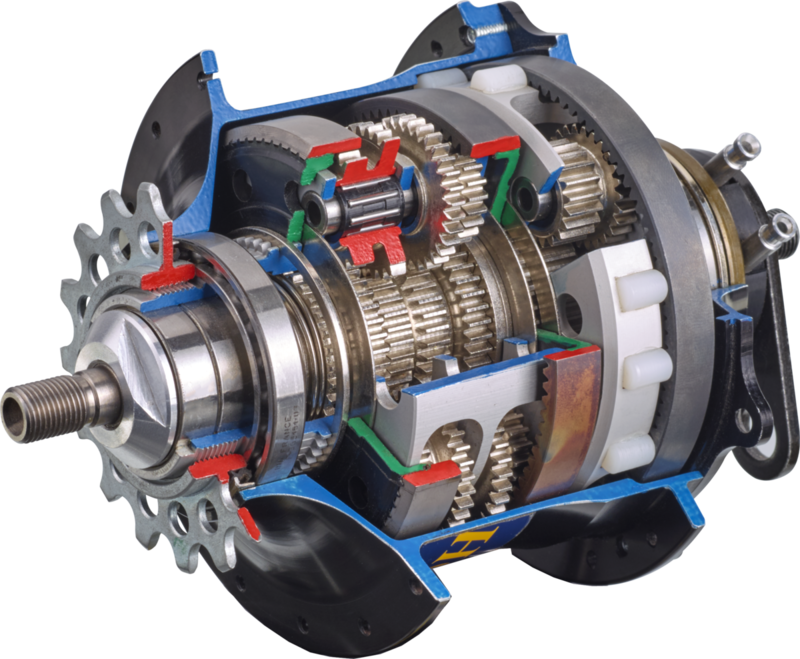 The Speed Drive is a two speed planetary drive which has a small chainring of 27 teeth(usually) and when shifted creates the equivalent of a 45 tooth ring. There’s really only one ring and no front derailleur, it just makes it feel like a 45 tooth chainring in front. The Rohloff hub replaces the rear hub, cassette and rear derailleur with 14 evenly spaced internal gears with a 13.6% jump between them. So if we have a 27 tooth speed drive on the front and a 13 tooth cog on the rohloff rear hub that would give use a range of 14.4-126.3 gear inches. Compare that to the standard set up 20.2-108.5 gear inches and we have a winner! 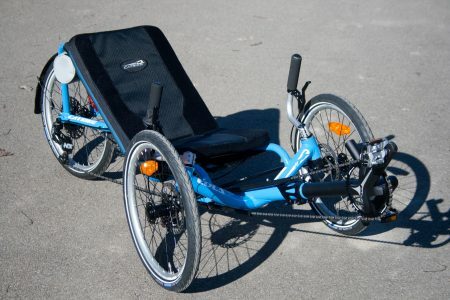 We recently had a customer with a 20” wheel tadpole trike like in the scenario above. For him we used a FSA Metropolis Patterson two speed crank(very similar to the Schlumph speed drive) and a Nuvinci(Enviolo)N380 rear hub. The N380 hub is a gearless rear hub that increases the easiest gear by 380% as you shift toward the harder but faster gears. There is no adjustment needed and the shifting happens inside the hub, not by moving the chain onto different gears with a derailleur and shifter. They wanted simple, dependable and not confusing with a nice spread of gears. The Patterson comes with a 28 tooth ring on the front and we used a 16 tooth on the N380. That gave us a 16.3-99.8 gear inch range with simple, reliable shifting. Compare that to the 17.5-90.0 gear inches of a typical trike and we have another winner! Now all that sounds great on the surface but there are a lot of knit picky little details that you have to take into account. For Rohloff there are many rules of use to prevent voiding the warranty. The most important are the allowed cog and chainring sizes. On a Rohloff, if you are under 220lbs the smallest permissible combo of rear cog to front chainring are based on a 1:1.9 ratio to prevent over torque of the hub. An example would be if you use a 13 tooth on the back, the front has to be 26 teeth or greater. If you are over 220lbs or using the hub with a tandem the ratio is 1:2.5 which would mean a 13 tooth would need a 34 tooth chainring or greater on the front. Another rule is a 26” wheel or larger needs to be built in a two cross pattern while a 20” needs to be one cross and done in a very specific way. For the Nuvinci it’s a 1:1.8 ratio unless you are using an electric assist or putting it on a cargo bike. Generally speaking, if the front is twice the size of the rear gear you are getting close to the limit. The front can be bigger all you want, it’s the super low gears that are the worry. I think you get the idea, it can get pretty complicated and hard to talk about without a three hour phone conversation. If you are interested in diving in to the details further please use the form below and we would be glad to help.